Strong leaders are essential to the structure of organizations across all industries. Having the knowledge, skill sets, and tools available to successfully motivate, manage, and guide others can mean the difference between organizational success and failure. 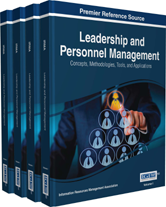 Leadership and Personnel Management: Concepts, Methodologies, Tools, and Applications presents the latest research on topics related to effective managerial practice as well as the tools and concepts that attribute to effective leadership. Focusing on a variety of topics including human resources, diversity, organizational behavior, management competencies, employee relations, motivation, and team building, this multi-volume publication is ideal for academic and government library inclusion and meets the research needs of business professionals, academics, graduate students, and researchers.